Pine Cone Ginger. 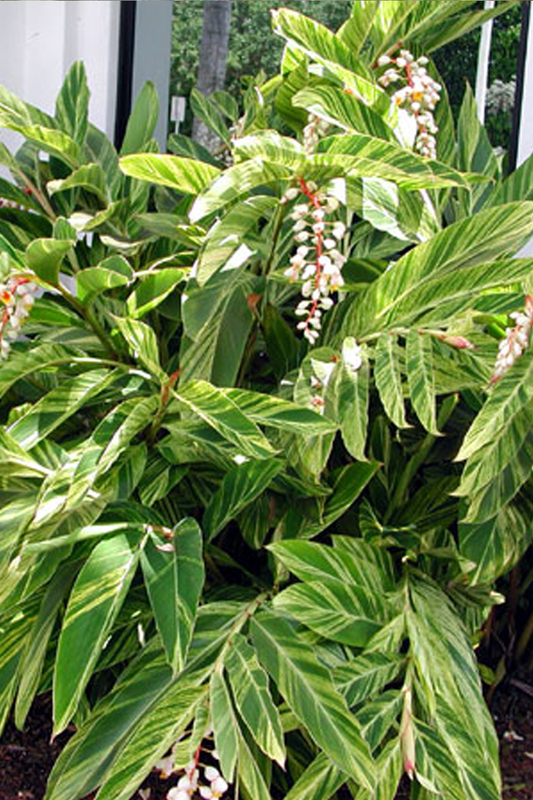 This ginger lily has red stems with variegated leaves. The club shaped red inflorescence is very ornamental and good for cutflowers and lasts for several weeks. The flowers are translucent (see picture) and flowers in succession.